When it comes to Garden Centres, more adventurous play equals more sustainable profit. We have seen increases in visitor numbers, dwell time and ultimately takings. But don’t just take our word for it, listen to Peter Underwood from Bawdeswell Garden Centre in Norfolk speaking about the impact his adventure play had on his Garden Centre business. “The increase in visitor numbers came right on the back of the initial launch weekend and has stayed throughout the whole of last 12 months. We’re seeing more families visiting together and parents happy to spend more time browsing, knowing their kids are having fun on the outdoor play. It’s had an impact on the revenue too and particularly for the after school visitors, which had been quiet previously. We’ve also seen a knock on effect in the takings in the cafe, again in this after school market and even more so on weekends when the weather is mediocre. For some, building the adventure play your business deserves, may be beyond your capital expenditure budget. 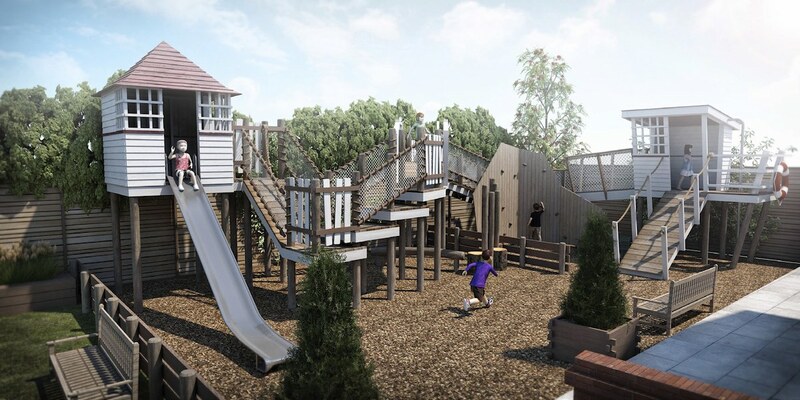 We understand this and have developed a scheme that will allow you to own a FULLY MAINTAINED and RoSPA certificated adventure play area for as little as £400 per month*. Just call us for details. 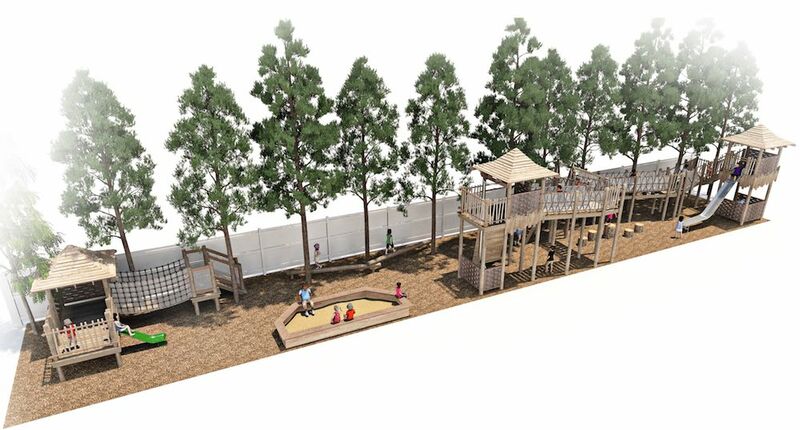 A great adventure play area like the examples shown above will sit within a space of 200-300 square metres. It doesn’t need to be the perfect square format either. We have created exceptional play within long thin spaces of around 8×30 metres as well as large and more logical squares. Ideally, the space you have available (or space that is readily convertible from under-used storage space), will be visible to a road that passes or approaches your garden centre. This will help you to generate your own passing traffic and experience says that this can often be the difference between those that stop and stay, to those who keep driving by. 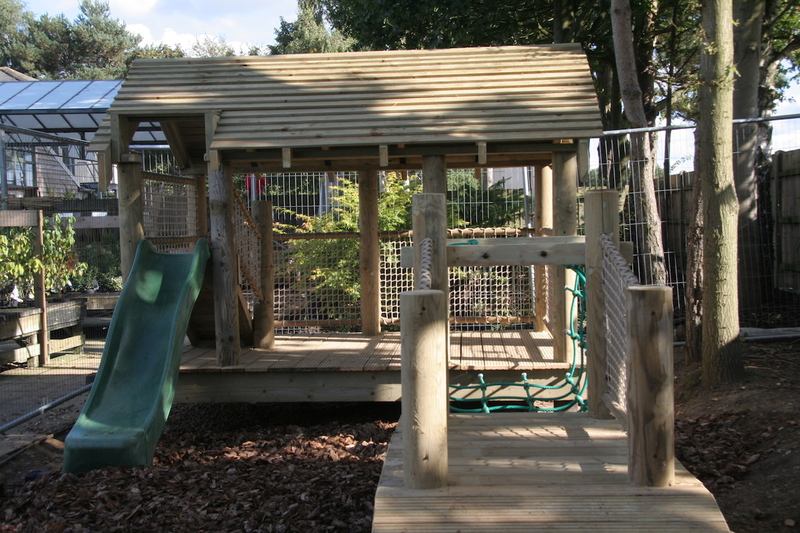 We normally design play that will suit older children who can be difficult to please and therefore be a barrier to parental visits to garden centres. At the same time, we also include slightly separated toddler play too. This has the triple effect of driving footfall throughout the day, creating an audience of after school visitors and ensuring they come back time and time again to enjoy the play, whilst their parents spend within your cafe and retail outlets. Whilst our adventure play is designed to fit your own space and any local design cues, it doesn’t need to be prohibitively expensive. Our new offer allows you to get just the level of adventure play your garden centre deserves, without a huge initial outlay. Adventure play needs to be safe and well looked after. As part of our offer to all of our customers, we will fully maintain your adventure play, with an annual visit and the repair and replacement of anything that may be showing signs of wear. 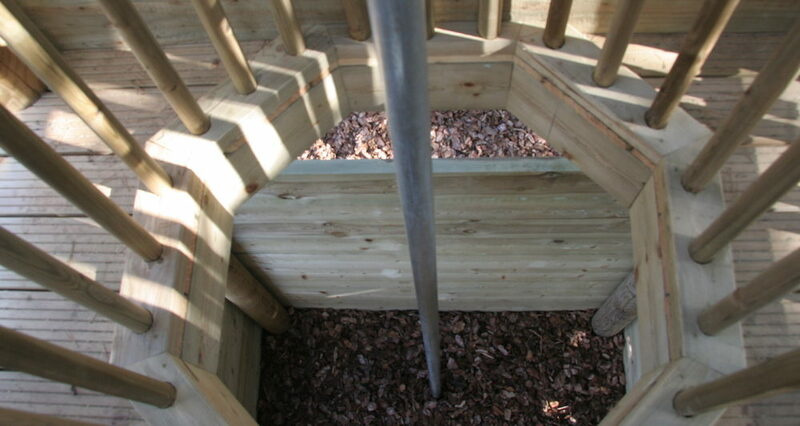 As part of the annual service and maintenance, we will have the play area independently inspected and RoSPA certificated. You can be sure that your customers are safe and your insurers will sleep easily. Our terms are very simple. Prices for our fully maintained adventure play areas cost from as little as £400 per month, with a 21% deposit and over a five year term. This includes all maintenance and certification for the duration of the term.